★Six-point oil channel for oil-saving and easy wash.
Purchasing this item will earn you 89 reward points (积分 $0.89) ! 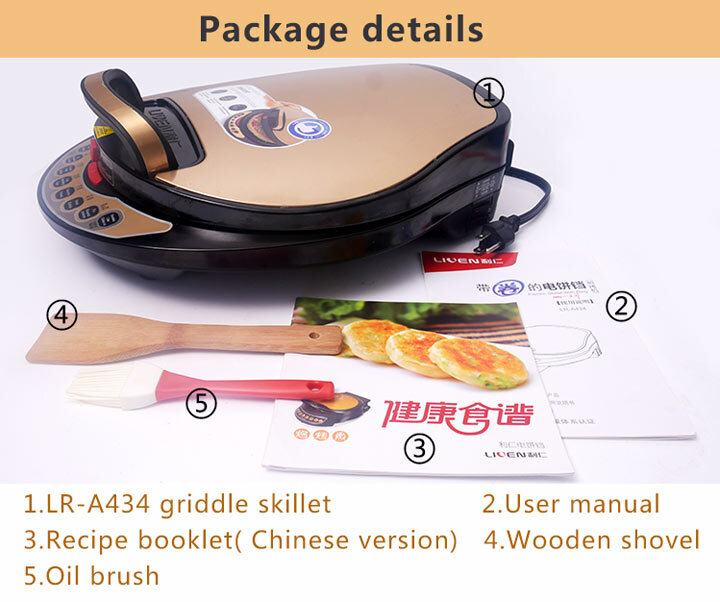 Liven HIGH END FLAG SHIP TOP MODEL, Liven LR-A434 Electric Foldaway Skillet with Removable Pan and Cover, Golden, Shell. 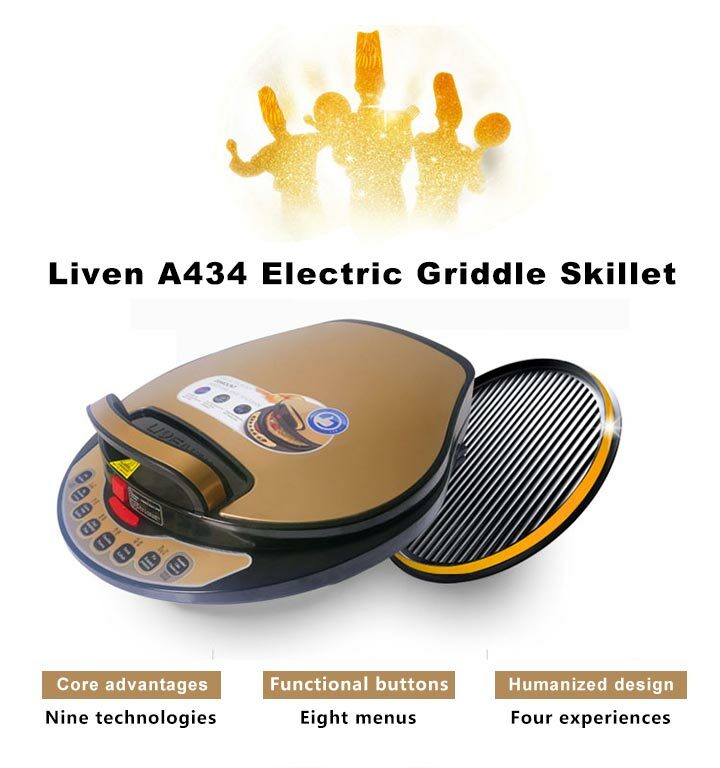 The Liven Electric Griddle is designed for indoor baking & barbecue. 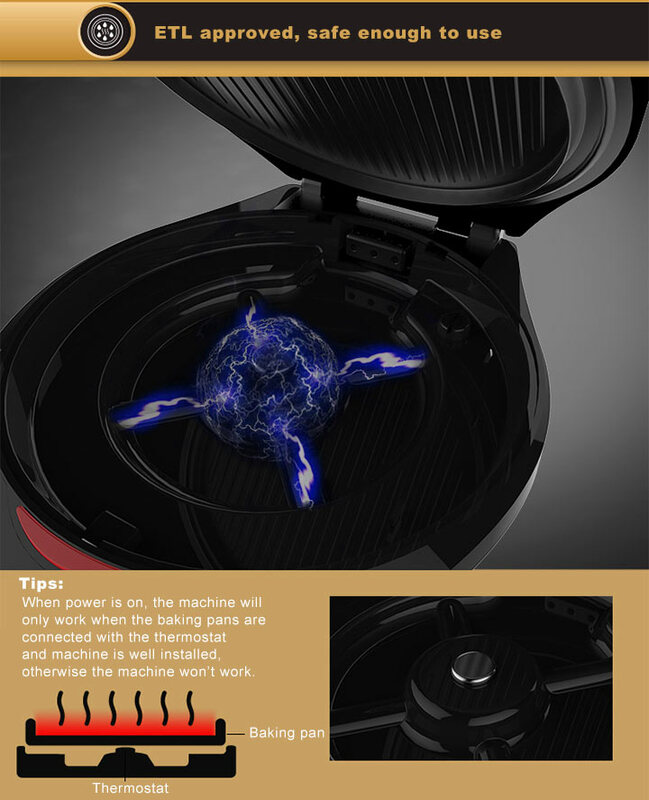 Sizzling steak, grilling fishes, baking pizza, it can prepare all these and more with one touch of button. 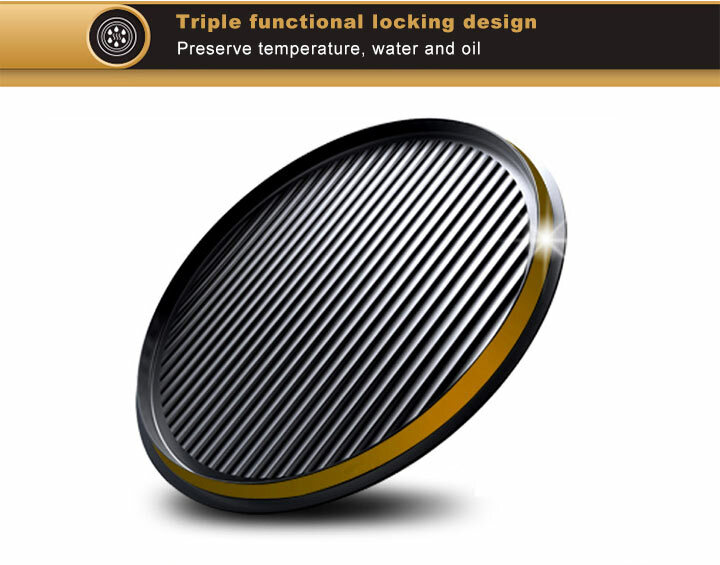 Liven brings outdoor flavors in with its ribbed grill surface which achieves great flavor inside your kitchen. 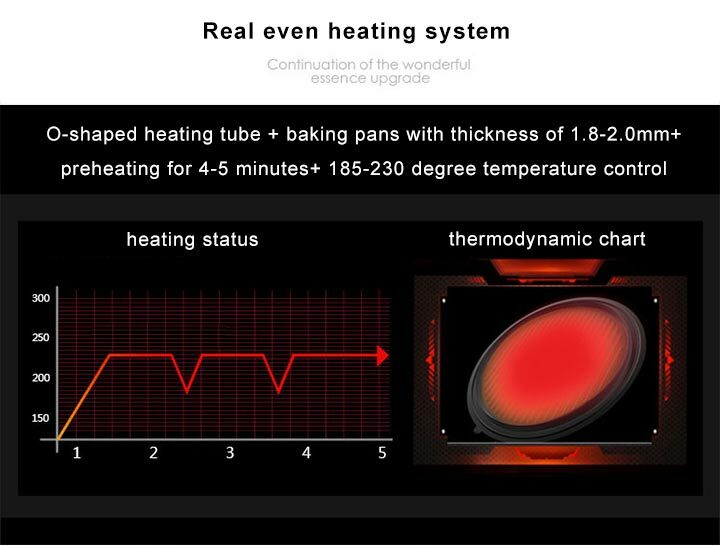 (1)Two baking pans can be spread at the same time so you can bake different luscious food. 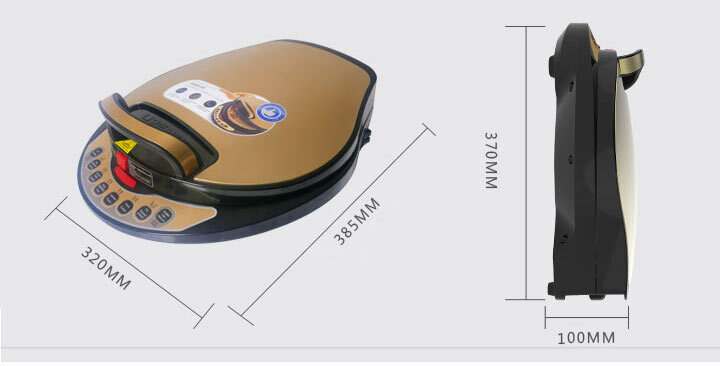 (2)It is a suspending electricity baking pan so you can cook different food with different thickness while you use it. 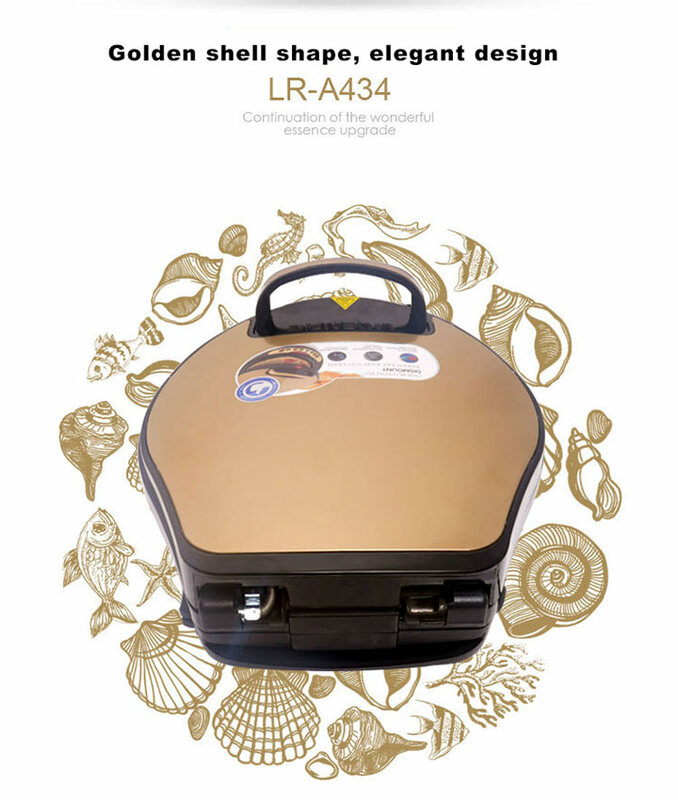 (3)The machine is so seal after the cover had been closed, so the oil, water, heat can be preserved and food can be cooked more quickly and deliciously. Use two or three times to evaluate, the goods is what I want, just heated some flavour, hopefully, use after a period of time will disappear. 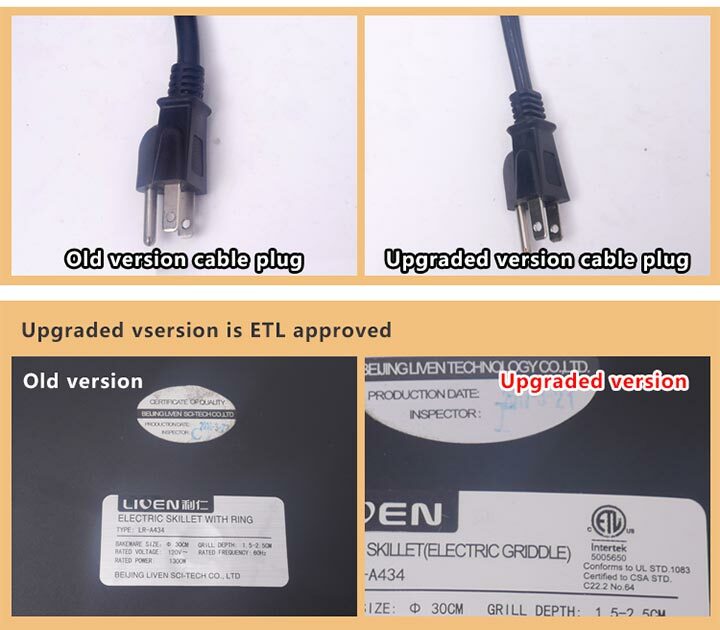 Very good, no noise, easy to operate. 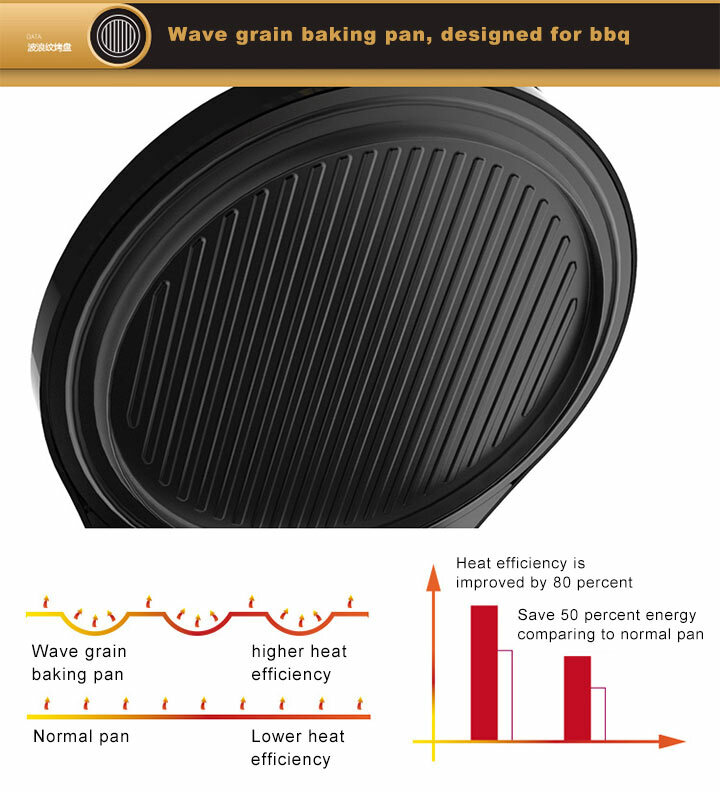 Looks awesome,have many functions, design of washable bake pan is intimate! Very convenient also very soon! 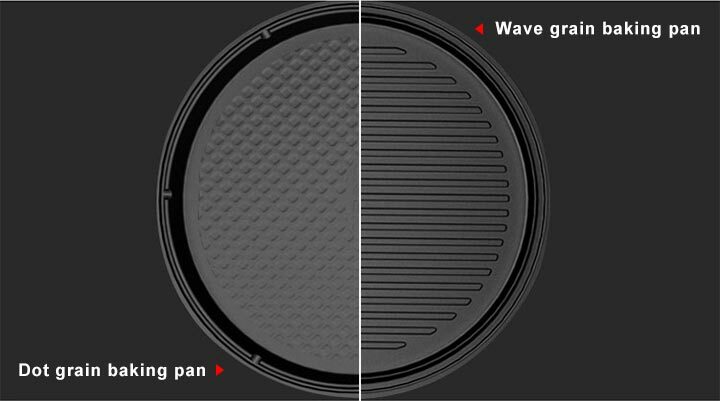 Nonstick skillet,pan can tear open come down to clean, I feel the baking pan is too shallow, can not cover, pie can only open to flipping! 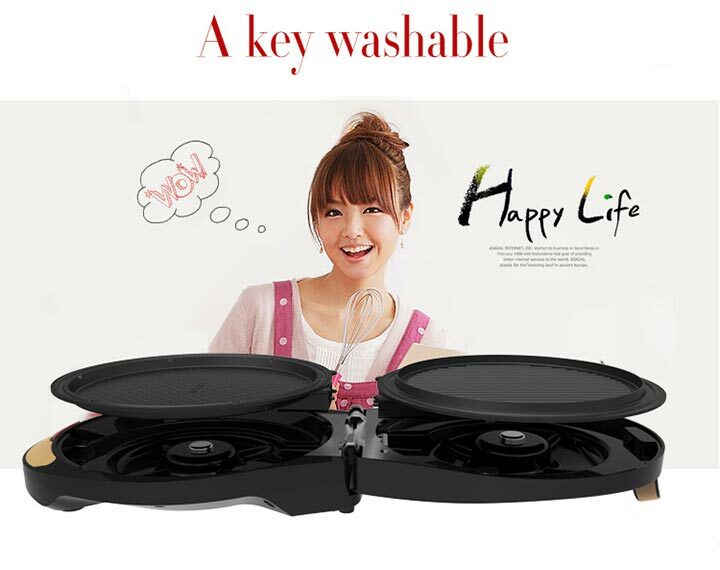 Product is good, the style good-looking, also satisfied with it, worth buying. For the first time to buy things, well, just too shallow baking pan, can only make pancakes. easy to use, saves time. 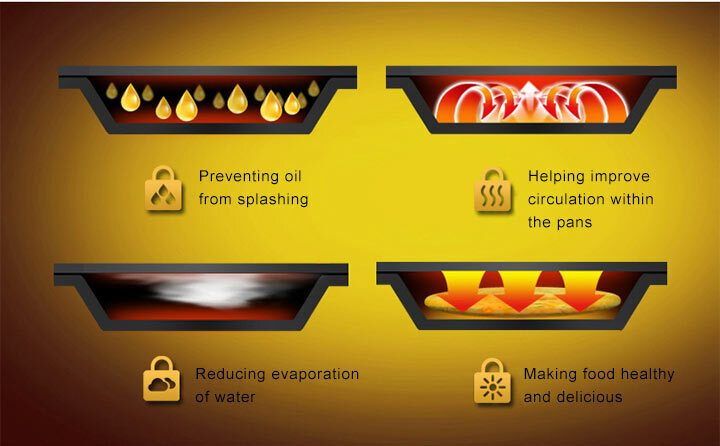 This skillet gets very hot and saves a lot time cooking. 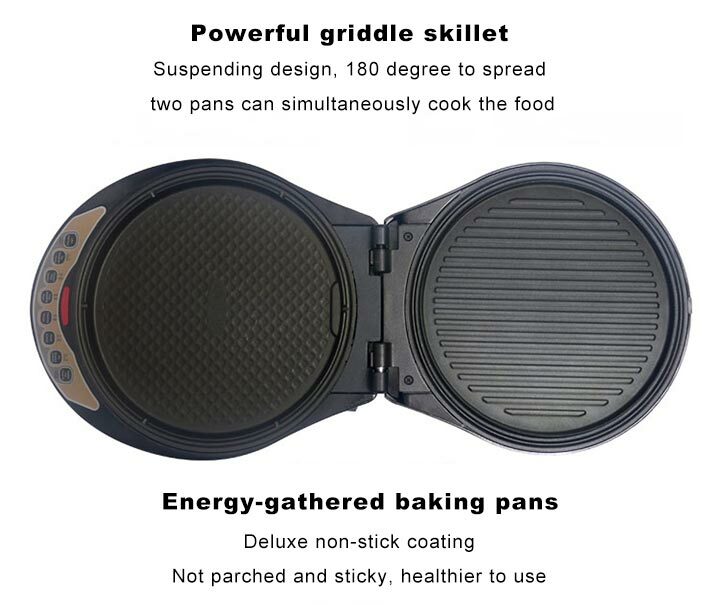 The dual pan can heat up together or separate. 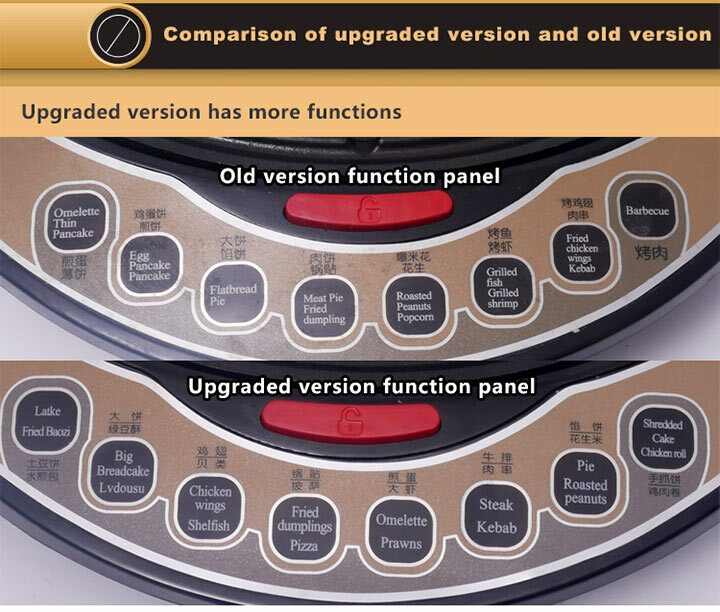 You don't need to fuss with too many buttons either. The removable pans for cleaning is the best part. I have made quesadilla, French toast, Chinese onion pancakes, chicken wings, and even cooked frozen foods on it as well . 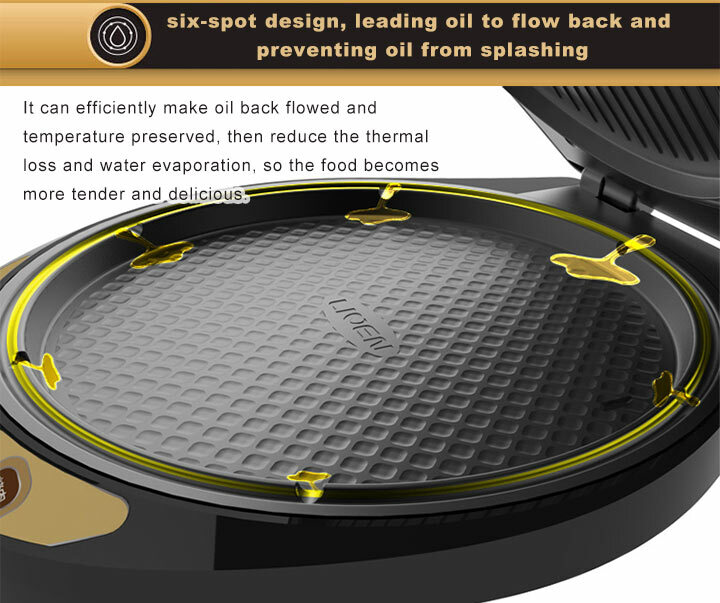 The pan is nonstick it doesn't need a lot of oil. Even can cook an egg without oil! But You must let the pan cool before cleaning.